A thrilling final day awaits at the Galle Test before the umpires called off the day’s play due to bad light and heavy rain. Chasing 456 runs, Bangladesh posted 67 without losing any wicket at the end of the 4th day. 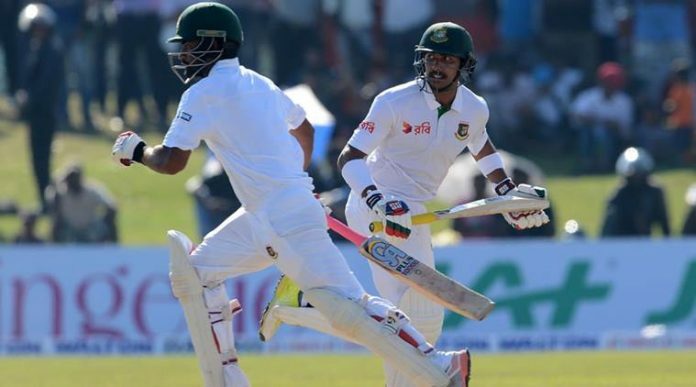 Soumya Sarkar got his 3rd Test fifty with a classy 53 from 47 balls. His opening partner Tamim Iqbal looked solid and is unbeaten on 13 from 44 balls. Earlier Sri Lanka declared their second innings on 274 for 6. Upul Tharanga’s hundred and Dinesh Chandimal’s fifty helped Lankans to set up a massive target of 457 for Bangladesh. 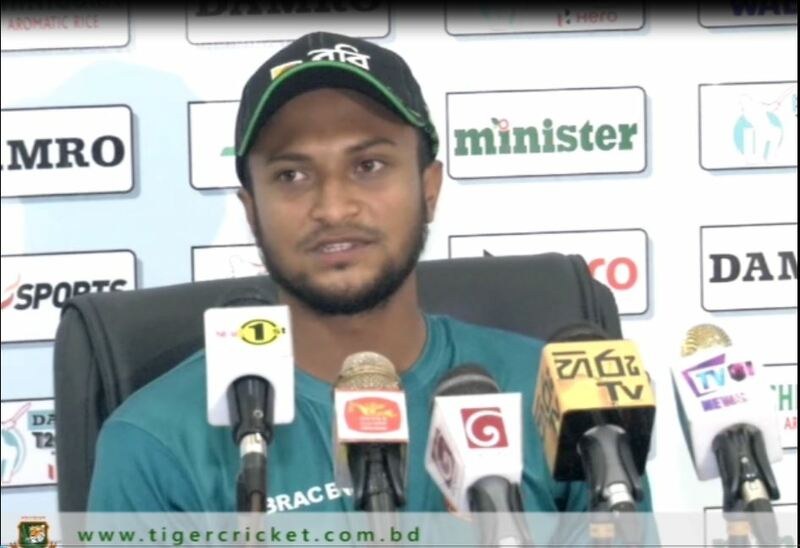 Mehedi Hasan and Shakib Al Hasan grabbed 2 wicket each. Mustafizur Rahman and Taskin Ahmed shared the other 2 wickets. Tomorrow Bangladesh will need 390 more runs to win from 97 overs.